It’s been way too long! A swathe of time has passed since I’ve been in touch. So much has happened in between – namely brand new meditation offerings in a brand new country! Yes, I’ve moved back to Australia. It’s my home country and where I feel most at ease. I’ve moved house too, ‘deep south’, relocating to a small coastal community not far from Adelaide. It’s beautiful. I’m immersed in nature. Wine vines. Scrub. Birds. Native trees. A community of new people. And the intention to ‘begin again’ – again! I’m setting up my Australian meditation teaching practice, picking up where I left off in Berlin. It feels good. 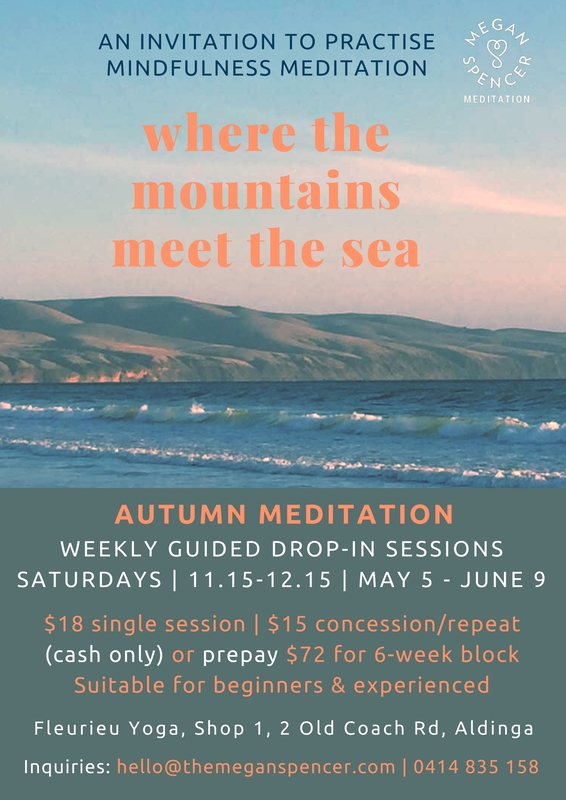 By way of introduction, at a lovely local yoga space, I’m offering a program of weekly, one-hour, guided mindfulness meditation drop-in sessions, starting this Saturday with a free promotional ‘taster’ session. Followed by a weekly drop-in program, Saturdays, May 5 – June 9. 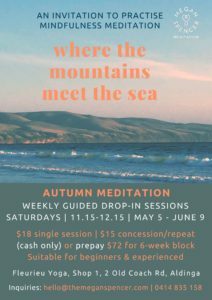 The sessions are suitable for beginners; experienced meditators who enjoy practicing with guidance; those who wish to refresh or expand their practice, and people who enjoy meditating in a group/community environment. If you know anyone in the Adelaide area who might be interested – moreover who might benefit from the deeply healing stillness that meditation practice brings – please let them know! And/or share the flyers with your community. (Just click on the images to download). Thanks for your support! I’ve just come inside from walking barefoot on the grass in my small backyard. As a recent-convert to orthotic thongs – “flip flops” – it’s become more frequent. Off they come as often as possible. The grass was both warm and wet underfoot, warmed by the morning sunshine and wet from last night’s downpour. Today I’ve been working since 4am and come 8am I’m feeling a little shabby. Foggy head. Energy waning. Contracted muscles. Not-A-Morning-Person. To revive I reach into my mindfulness ‘toolkit’ and pull out ‘mindful walking’ to do on my little patch of green. Birds screeching meet my over-tired ears. Vivid colours of blue and green dazzle my weary eyes. The ocean roars in the distance. I can smell eucalypts and pong-y compost. Everywhere there is movement – stillness too. In a blink it changes again. Nothing stays the same for very long. But as often as my attention wanders to some new sensorial delight/distraction, I remember to ‘return’ it down, down again to the soles of my feet. To notice how they feel. Over and over. To keep bringing my mind back to walking, to how my feet feel, right here, right now. They feel good on this spongey grass carpet. I breathe in. I walk. I breathe out. I walk. 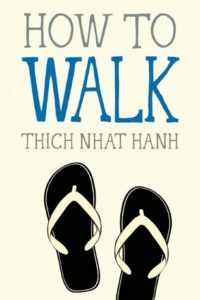 – Thich Nhat Hanh, ‘How to Walk’. So often we say “no” to self-care, even if it only takes a few minutes – or no extra time at all. We prefer to stay with ‘what we know’ or ‘what we always do’ even if it’s not doing us much good. Why is this? “Too busy”. “It won’t help”. “I’ll look like a dill”. “Toughen up”. Familar self-talk? Our “soldiering on” can be so ingrained, so habituated, a simple thing to make us feel better, work better – live better – seems beyond our reach. What happens if we ‘let go’? What will we find? What awaits us ‘there’, in that space? Choice. Mindfulness training – through its formal practice of meditation – helps us access this choice. A choice to be free. Mindful walking – or mindful movement – is a great way to wake up to this. It’s easy, simple, and takes no time at all. You can do it anywhere – in the backyard, on the way to work, going from one room to another.. Anywhere. Jack Kornfield again: try adding the word “well” to the end of a question you might ask yourself. “Do I look after myself well?” “Do I eat well?” “Do I treat my body well?” Do I walk well? My new Facebook Page is go! 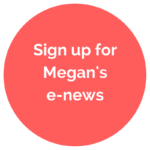 I’ve created an online hub where I share daily mindfulness and meditation resources to keep us all inspired, curious and motivated. It’s also space for you to share your experiences and inspirations – and to find community. 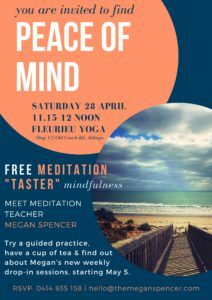 And it’s a great way to keep up-to-date with my meditation teaching events and services in Australia. (So’s this webpage!) You’re invited to ‘like’ it! 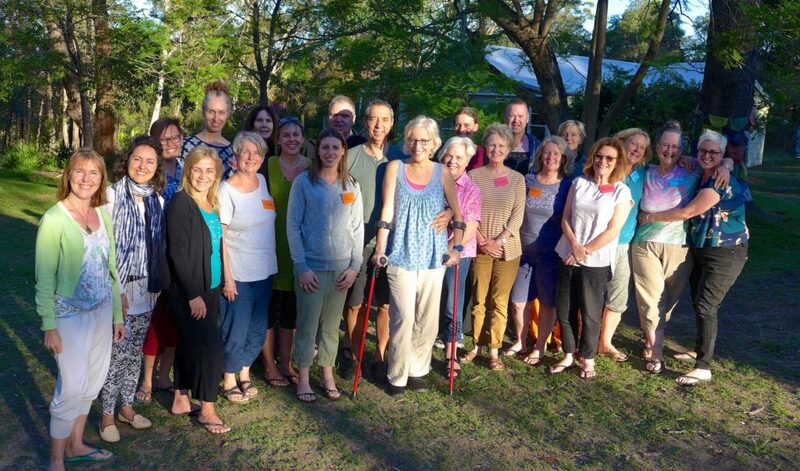 In March I attended Breathworks Introductory Teacher Training at a bush retreat centre near Sydney. It was life-changing, re-affirming and filled with kindness and kinship. I’ve been on the Breathworks mindfulness ‘path’ for a while now, first discovering inspiring founder Vidyamala Burch during the Mindfulness Summit in 2015. 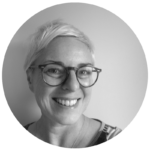 She developed her ‘mindfulness for health’ program from inside her own experience with chronic pain, later adapting it to a ‘stress’ program. Living in Berlin I ‘hopped the Channel’ a couple of times to attend two introductory courses for health care professionals at Breathworks Manchester. I was incredibly impressed with the kindness at the heart of the program – and the teachers. When I heard Breathworks was to hold teacher training in Australia soon after my return home, I felt the need to be part of it. As a meditation teacher, the inherent simplicity and goodwill at the heart the program deeply appeals to me. As does its kind community culture. It was hard work and a lot of fun. Seriously, I haven’t laughed that much in ages. Or felt so free. Big lessons were learned, about myself and others. About our capacity to ‘be with’ experience. About pain, in the body and the mind. To hold things more ‘lightly’. To stop beating myself up for not being ‘the best’ (the agonising overachiever ‘me’!) That you don’t have to be ‘perfect’ to be a good teacher. And that we are ‘enough’. I’m so grateful to have had this experience. The stars truly aligned. And now I’m on the path towards Breathworks accreditation. I’m excited. Watch this space! And try the Three-Minute Breathing Space. Very happy campers at Breathworks Australia, 2018. 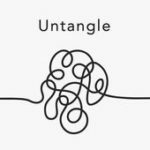 I’ve just discovered the mindfulness podcast Untangle. There’s a great episode with Vidyamala where she shares her remarkable life story, road to creating Breathworks, and her life’s mission: to relieve the suffering of 7 billion people on the planet. There’s also another ripper with Dan Harris. I love his no-nonsense, direct and often hilarious approach. I recommend this podcast. 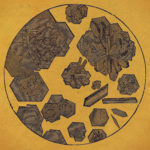 And if you’re looking for some superb, calming music, you can’t go past Processed Harp Works Vol. 2 by Australian artist Kris Keogh. (Vol. 1‘s also pretty amazing). Kris is an old friend based in Arnhem Land in northern Australia. Read the interview I did with him. 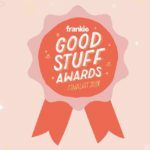 My podcast Auspicious Plastic was selected as a finalist in the Frankie Magazine ‘Good Stuff’ Awards, for this episode with Carrie King. Auspicious Plastic Episode 11 is another conversation I’m particularly proud of, all about love, vulnerability – and cats. Two excellent documentaries about meditation pioneer Ram Dass are on Netflix: Going Home and Dying To Know (with his old mate, Timothy Leary). 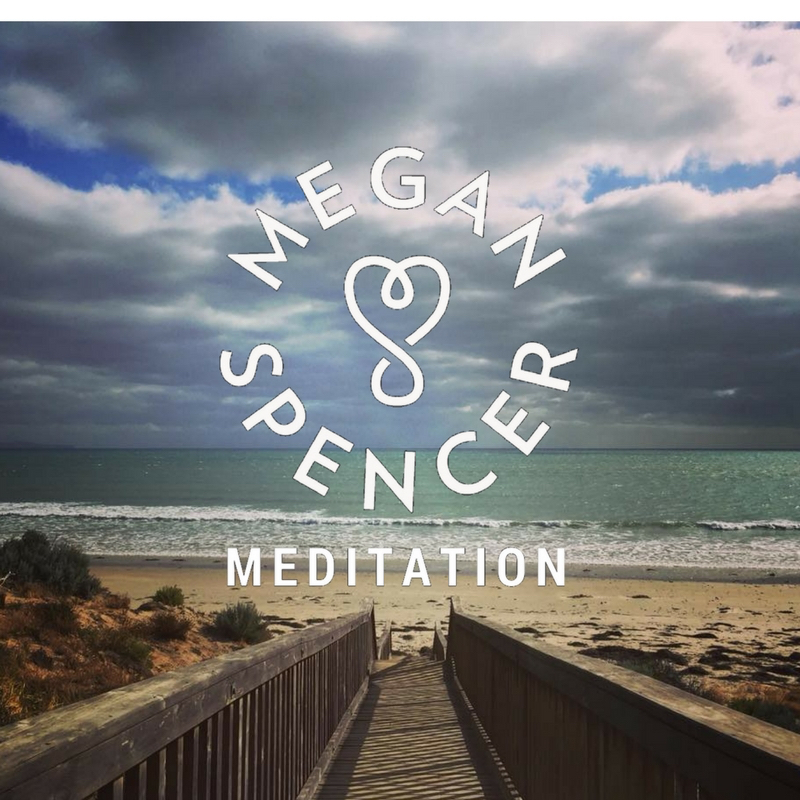 Coming to the Australian Meditation Conference? It’s good to be back! Until next time, thanks for your kind attention and take good care of yourself.